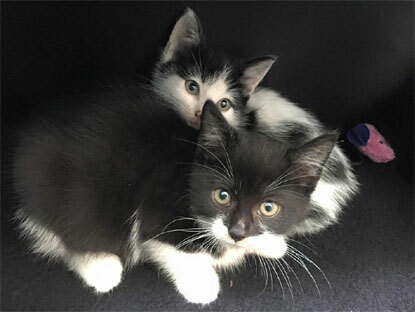 We contacted the Croydon Branch of Cats Protection back in October 2015 as we felt we would be able to give a cat/cats a good home. We had waited a while as we'd lost our previous Cats Protection cat in May after a three year battle with diabetes. She was 14. We’d had her since she was 14 weeks old and she was adored by us all, I was particularly devastated and Molly had left a big hole. 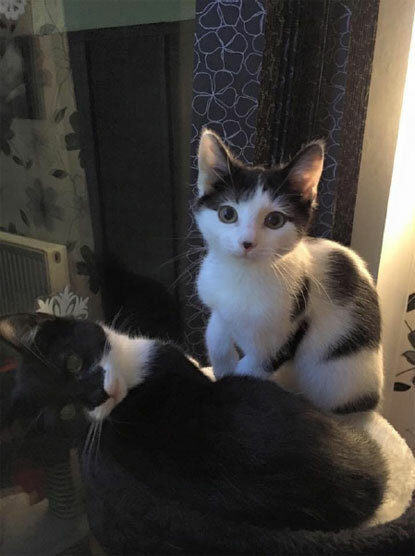 We contacted you and a lovely lady came round for a home visit and although I have five children from 16 years to eight months she approved us as a household who could offer a cat a great if lively home. Bella and Luna came to join in the fun with their mischief and mayhem just before Halloween. We'd heard of a litter born at a local cattery and waited to view them. I'd lost my babysitter just before the viewing and had to take the whole family. When we went in to view I placed the-then eight-month-old twins on the floor where they sat and Mum cat sat right down next to them as if to say I approve of you. (I also wanted to take mum home). Many of the litter were reserved so we looked at the remaining three. The smallest, mostly-white kitten was left. She was the runt and she just sat with my daughter, while Bella, the livelier mainly-black kitten sat with my son. The other scampered off so our choice was made. They still have their favourites, Luna follows my daughter around and Bella can always be found on my son’s bed. They love each other just as much and are inseparable. My twins love them and all four of them, come dinner time, can be found together as the babies’ favourite game is feeding the cats rather than themselves. They cause chaos but they are lovable. They are always up to mischief. They have re-decorated my hall with their wallpaper stripping – obviously didn't like the decor – but we wouldn't be without them. 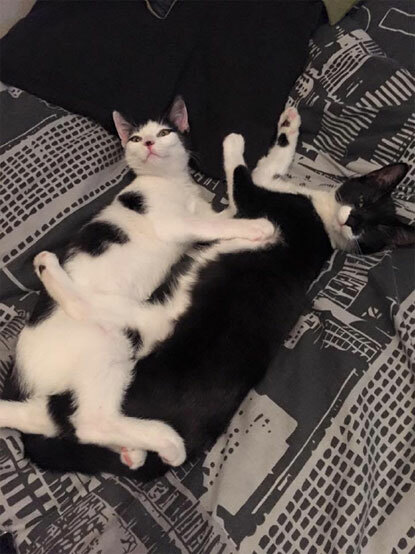 They have settled in as part of our large lively family and we'd like to say thank you to Cats Protection for trusting us with them.